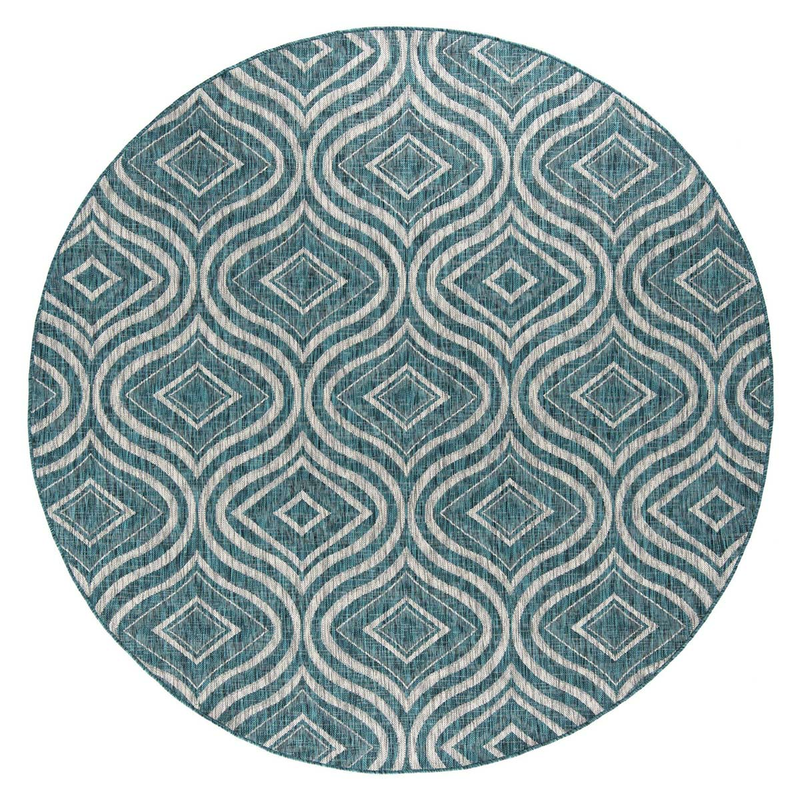 Accent your family room with the Aqua Ikat Indoor/Outdoor Rug - 8 Ft. Round. 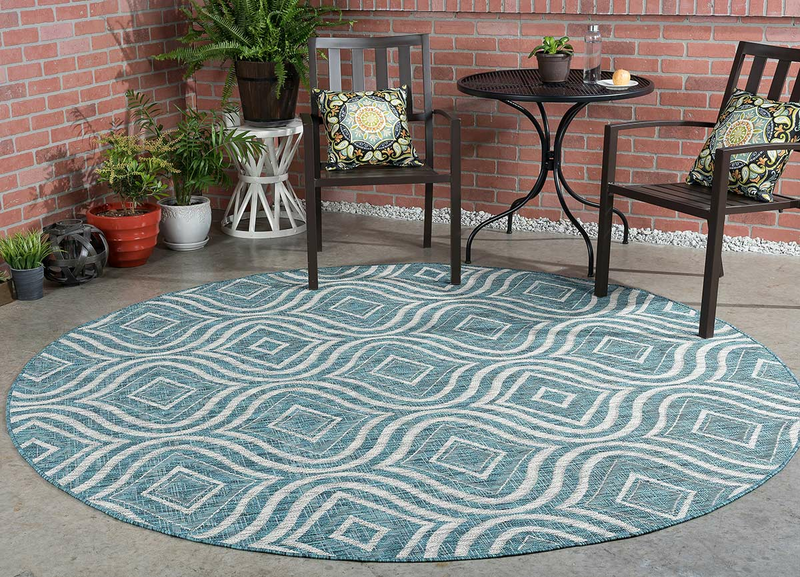 This indoor/outdoor area rug features a graphic ogee design in light gray on an aqua background for a seaside addition to your home.